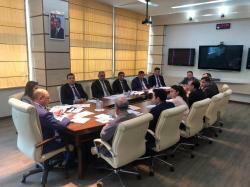 As a result of successful reforms carried out in Azerbaijan, during the first three months of 2019, the number of citizens working on the basis of labor contracts registered in the electronic information system (EIS) increased by 65,821, Elnur Suleymanov, an official with Azerbaijan's Ministry of Labor and Social Protection of the Population, said on the sidelines of the 4th meeting of the Secretariat of the Working Group on the Regulation and Coordination of Labor Relations, Trend reports. Suleymanov noted that as of April 1, 2019, the number of individual entrepreneurs registered by the Ministry of Taxes increased by 10,568 in the 1Q2019, and reached 371,596. At the same time, the number of contracts in this area reached 1,467,782. 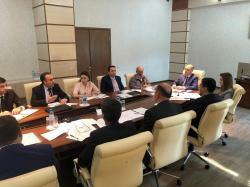 This indicator is important in terms of preventing informal employment in Azerbaijan, he said. The meeting also discussed draft proposals for the preparation of statistical indicators on internal migration and the organization of monitoring in this area by the relevant structures.